Here’s a blast from the past. 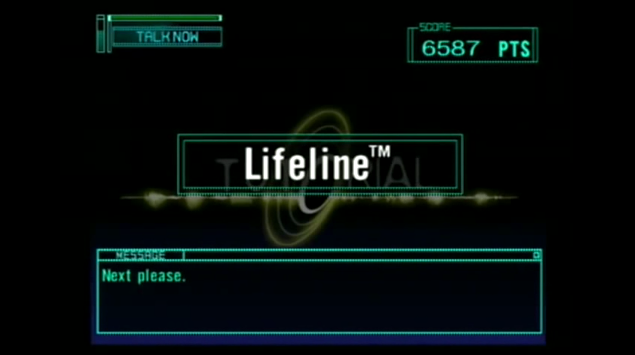 We recently came across the following video on Youtube, showing the game LifeLine on PS2. The concept of LifeLine is that you are aiding another character to escape from a complex, but you can only give voice commands. LifeLine uses a very basic word recognition software for this, and the glory is in the lack of dialect recognition. UK, Australia, US, Canada, India – we all have different accents when speaking in English, but LifeLine will only accept Engrish. It’s true, Konami didn’t even employ an native English speaking voice actor to provide the baseline. Someone set us up the bomb, clearly. This entry was posted on 2013/10/30 by Ian Cutress in Gaming News, PS2 and tagged Engrish, Gaming News, LifeLine, PS2, Youtube.